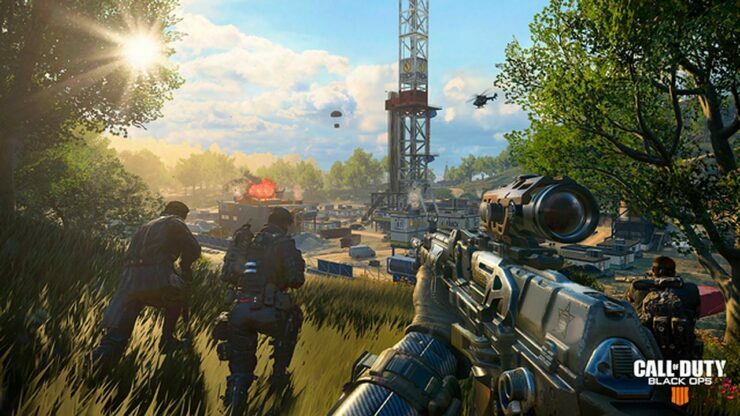 For this year’s Call of Duty, Treyarch and Activision opted to drop the usual single player campaign in favor of Blackout, a multiplayer Battle Royale inspired mode. In an interview with GamesBeat, Co-Studio Head at Treyarch Dan Bunting talked about what makes Blackout special compared to other Battle Royale games and how it celebrates the legacy of the whole Black Ops franchise. I think that what we built is a game that really celebrates the legacy of Black Ops, the history of Black Ops. We wanted to surprise and delight our fans. We always like to do that. We put Easter eggs in the map. We put favorite maps that players have played in different games together in one place. You look at the Estate section of Blackout, where it has Raid on one side and Stronghold on the other. It’s two different maps from two different worlds coming together in unison. It’s been fun for us to do that, to give players a new twist on old favorites. You go to Nuketown Island, it’s almost not even about Nuketown itself. It’s about all the tunnels underneath that you never got to see in the actual Nuketown map. We’ve had fun playing with the fiction. You just have to constantly deliver exciting and fun and rewarding experiences for your fans. I think we’ve carved out our own space. We have something that feels very natural to Call of Duty and celebrates Black Ops. Players who’ve been with us for the series — we really wanted this game to be in service to our fans, in service to our community. It’s not just how we update or provide transparency to the fans, how we communicate to the fans. It’s not just about how we update the game post-launch. Those are all important to the community. But it’s also how we look back to the history. The players who’ve been with us all this time, we’re giving them something that feels like they can latch on to it. It’s a celebration of what they’ve loved all these years. That’s what Blackout is. In our case, it’s a pillar of our game. It’s of significant importance to the game. It has to be a big part of our release. This isn’t even something we’d think about as an add-on post-launch. It’s a part of what this game is and what it’s about. It’s what people are going to remember about Black Ops IV. It’s a multiplayer that redefines multiplayer in the Call of Duty franchise. It’s battle royale done the Black Ops way. It’s unique compared to anything else you’re going to get in gaming. Call of Duty: Black Ops IV launched last Friday. Early sales showcase a decrease in the UK retail market, but the digital global launch was the biggest ever, apparently.